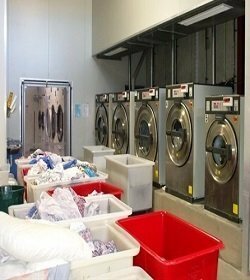 To provide the laundry facilities is one of the important services that are performed by the hotels & resorts. The laundry department has to fulfill many responsibilities for ensuring qualitative guest service and providing valet service is one of them. Valet laundry service is a universal practice which is maintained by all chains or large hotels & resorts and responsible for handling and taking care of all guest’s laundry. Hotels & resorts could have their on the premises valet service including staffs and other necessary equipment or may have a outsourced contract with any dry cleaning house for fulfilling guest’s laundry needs. Hotels & resorts provide valet service either same day (guest’s laundry is received in the morning and provided at evening) or overnight (guest’s laundry is received in the evening and provided in the next morning) in both cases of contracted or in house laundry service. Description of the guest laundry. Requirement of laundry box or bag stamped with hotel’s logo or name. Schedule of collecting and returning linen. In large hotels the room attendants or bell boys may be assigned for delivering the clean laundries to guest rooms. However in small hotels the guests are informed by the front office department through massage light, if guests are available in the message then the linens are delivered. On-premises laundry service do not only taking care of guest’s laundry but also taking care of hotel staff’s uniform and other linen items used in hotels . Establishment of the schedule for collecting and delivering linen. Determination the process for delivering the linens to the guest’s rooms. Attach the figure bills with the clean laundry. Setup of hotel policy for laundry by following the government law. Responsible for handling lost and damage items. Receive guest comments or complaints. However, in house laundry service is operated based on the return of investment or turnover of profit. The amount of space also needs to be considered as valet service requires specious area for operating functional activity. For example: sporting, tagging, washing, drying, keeping equipment etc. The valet staffs have to be professionally trained in order to maintain effective laundry service. In large hotels there are also supervisor for directing laundry activities. Valet service is performed by the valet who is assigned for collecting soiled linen and returning clean linen to the valet service area for sorting, tagging. After completion of all procedures like packing, attaching bill, the valet staff returns the clean linen to the guest rooms. The guest rooms are generally provided with the telephone directory including all necessary telephone numbers of hotel in house service. When the guest will ask for the laundry service through the telephone the laundry desk attendant will receive the valet request. To do so, the laundry desk attendant maintains a request book where he/she notes down guest name and room number. Then the attendant passes through this laundry request to the valet and also monitors the efficiency and quick performance of the valet. The valet collects soiled linen from guest room to fulfill the request. To do so the valet politely knock in guest’s door and say once “valet service” even twice if it is needed. The valet will enter the room if the guest will permit and start process for collecting soiled linen. Hotels provide laundry bags along with the two color coded laundry lists (1 for washing and another one for cleaning and pressing), which is available in the guest’s wardrobe. 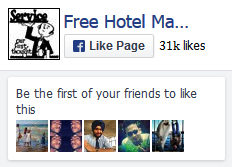 The laundry list includes two column “guest count column” and “hotel count column”. Before providing the linen to the valet, the guest should count and fill the “guest count” column. The valet again counts to match with the laundry list and fill the “hotel count” column. Prices each item of laundry and include the total amount that is payable by the guest. Record the type of laundry service that is required by the guest. For example urgent delivery or normal delivery. The valet will inform the guest in case of any discrepancy, tears, or any defect before sending it for washing or cleaning to avoid any sort of complaint regarding linen. Make inform the guest about the extra charge for urgent delivery and the actual time of laundry delivery. The guest may sometimes ask the laundry desk attendant to collect the soiled laundry after his departure then the valet should collect laundry with the help of room attendant and take further procedure. Even the room attendants may call the valet during room cleaning for collecting laundry if the guest leaves the soiled linen in the laundry bag. Carry all guest laundry for normal delivery. To transfer the linen, use mobile clothes hangers. Deliver the guest’s linen to the room by following the room entry procedure. If guest is not available then the valet requests the room attendant to unlock the room and leave it in the room either in packed or on hanger. The bell boys are also assigned to deliver the guest’s clean linen if it is deliver at night. Sometimes the guest may check out without collecting the laundry then the room attend should inform the housekeeping department for taking any further action by following lost and found procedures. Valet Laundry Service in hotel and resort topics is helpful for all students,lecturers and hotelier peoples who are attached in this field.